Domain authority is a search engine ranking score that was developed by analytics company Moz. This score predicts how well a website will rank on a search engine results page, such as Google. These domain authority scores can range anywhere from 1 to 100, with the higher scores being the ones with the best ability to rank. That all sounds great, but how does it work? Below, Virtual Market Advantage will take a closer look at how you can see your website’s ranking, as well as how to improve those scores. Read on to see exactly what domain authority means for you and your website! Where Can I Find My Domain Authority? Your domain authority can be found on dozens of SEO and online marketing platforms across the web. If you’re looking for specifics, you can measure your domain authority using Moz’s Open Site Explorer or inside the SERP Analysis section of the Keyword Explorer. Your domain authority is scaled on a 100-point logarithmic scale used by the Moz website. It rates the overall popularity of your website. With this type of scale, it’s much easier to climb faster if your numbers are low than if you’re already on the higher ranking side. At that point (around 80+), you will be spending your energy trying to hold your position and not fall lower rather than climb the ranks further. The technical definition of domain authority is that, “it is data based from the Mozscape web index that includes link counts, MozRank and MozTrust scores as well as dozens of other factors.” Since this type of authority is based on machine learning calculations, your site’s overall score will change as more, fewer, or different data points are used in the calculations. 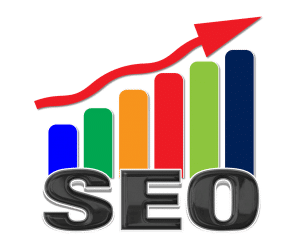 In most cases, you will find that websites with larger numbers of high-quality external links will remain at the top of the domain authority scale. These include sites like Wikipedia and Google.com. On the other side of this scale, you’ll see that small business website with fewer inbound links often have a much lower DA score. A brand new website will always start with a domain authority score of one. This tool is best used to compare with sites similar to your own as you do your research for your SEO campaign. Unlike a credit score, this is not a tool to use as an absolute score that you must reach. It’s a great tool for you to use to help you determine which sites may have more powerful and important link profiles than others. Since you’re using it as a comparison tool, there’s not really a set good or bad number to have your website rank on the domain authority scale. How Do I Influence My Domain Authority? Your actual score is something that’s difficult to influence in a direct way. Since it’s made up of so many different metrics, and each have an impact on your authority score, you can only really influence one piece of that data at a time. This was done on purpose, since it’s a score that’s meant to approximate how competitive a site is in the Google search results, which uses a complex and ever-changing algorithm. Google takes in a lot of factors when you start ranking your page in the search engine results. Overall, the best way for you to have any influence on your domain authority score is to work on improving your overall SEO. You should put a good amount of focus on your link profile. For the best results, you need to get more links from other well-linked pages. Just remember, everything ties back together at some point when you start link building, and this is okay. As you start to use all of these tools online to test your website and see where it ranks, always keep in mind that your domain authority score is not necessarily bad if it’s low or the best if it’s high. This is a tool to help you compare to similar sites out there, so you can see what you need to do to be more competitive with them. Obviously, a small business’s website can’t compete with Wikipedia, so comparing those two sites will not help you learn anything. A good SEO campaign set up for your specific website is the best first step you can take to start ranking higher on Google or any other search engine! If you want more information on SEO, coding, and more, check out VMA's other blogs, such as this one that goes over the importance of responsive website design!